Lizard Workwear & Safety Limited was established in 1989 as a small family run embroidery firm and have been using prof.ITplus for 10 years. The company has gone from strength to strength and now boasts an extensive range of workwear, corporate wear and safety solutions. They provide on site bespoke embroidery and printing facilities, priding themselves on excellent customer service. We’d certainly recommend prof.ITplus to other organisations. Without a doubt the speed and efficiency gained by using prof.ITplus has enabled us to grow rapidly. Our turnover has increased by almost 100% since 2008 yet our staff levels have reduced as the system is much more efficient. 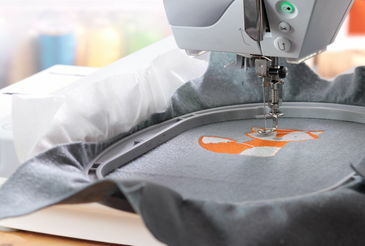 Family run embroidery firm double turnover thanks to prof.ITplus software. prof.ITplus is a market-leading ERP system that lends itself perfectly to businesses in the PPE and Workwear sector. We spoke with one of the directors of Lizard Workwear to find out how the software has impacted their business. How did you find out about prof.ITplus? Why did you choose prof.ITplus over other software systems? Were there any specific challenges that you wanted prof.ITplus to help solve? How do you use prof.ITplus within your business? What is your favourite feature in prof.ITplus? prof.ITplus enables you to sell on Amazon and eBay in a way that is integrated with the rest of your system. Not only does this instantly increase your potential market reach and opportunity to grow sales and profit, but prof.ITplus does it with the minimum amount of extra processes. The dedicated module, that we call the Online Channel Hub, sends data back and forth between prof.ITplus and Amazon and/or eBay, ensuring product information such as stock level, price, availability and item description are always up-to-date. Additionally, the hub within prof.ITplus will pull through all the stored information about a product, including images, and display it as a listing on eBay for all of the stock items that you would like to sell online. This means a few extra clicks of the mouse will result in your products being available to purchase by a whole new buying audience.